Everyone loves flowers; they make people smile and tend to cheer up even the most somber of occasions. 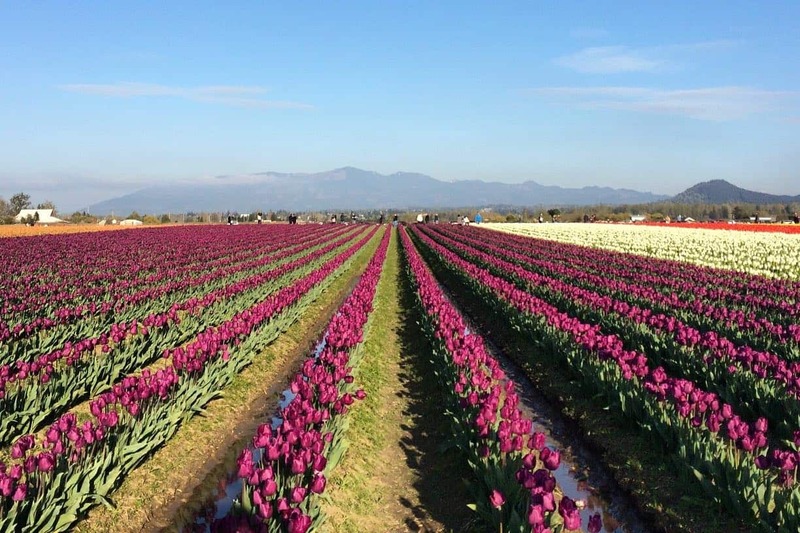 We’ve listed some of our favorite flower fields and locations; while not every single mention here is a field, they do have their importance and uniqueness as you’ll quickly realize. 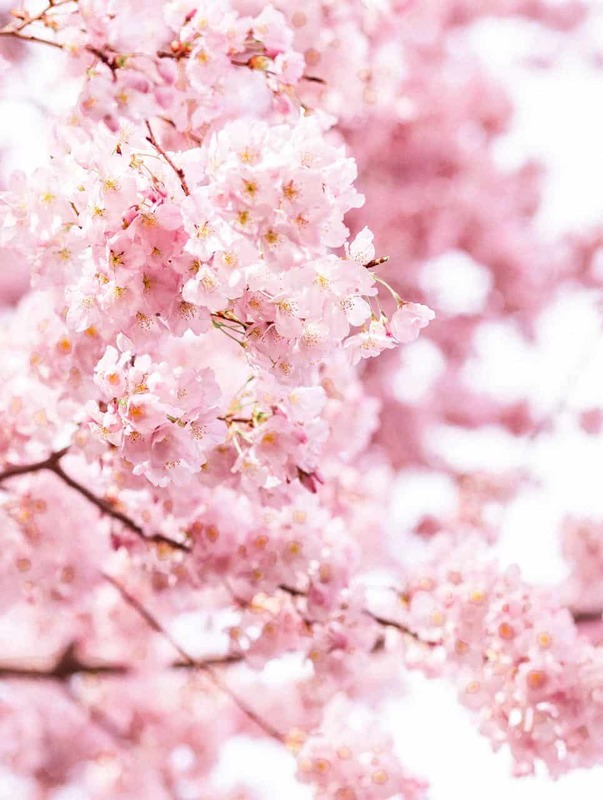 This list makes a great guide to your travel plans especially if you’re a flower lover and are wondering if you can see some blooms while you’re out exploring. 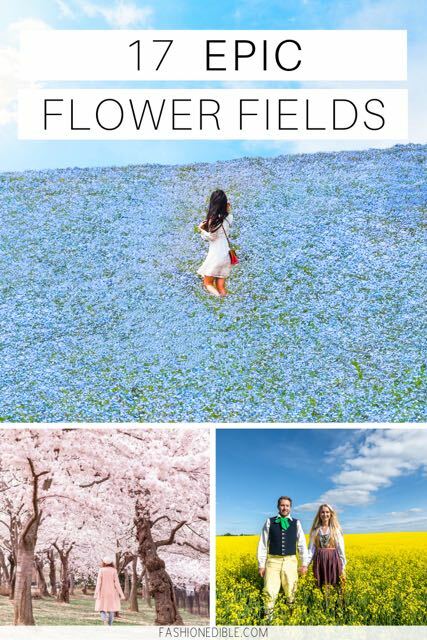 However, we know that not everyone can travel to enjoy these sites firsthand, but hopefully these flower field photos will make you stare in awe as much as they did for us. We live in a pretty amazing world! 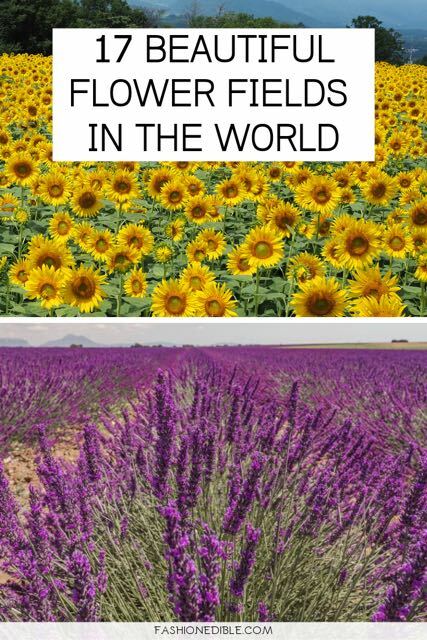 Provence, France has some of the prettiest lavender fields in the world. 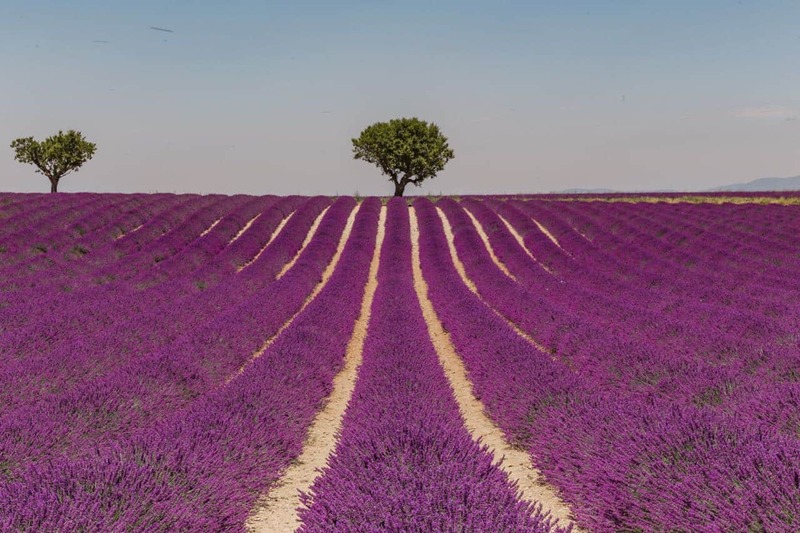 There are three different ones to choose from: Sault, Valensole and Luberon Valley. All three are located in southern France. The best time to see the fields in peak bloom is between the end of June into mid July. Admission is free as they are located along the highway/road. Aim for sunset or sunrise in order to miss most of the crowds and get a pretty sky to go with the beautiful blooms. 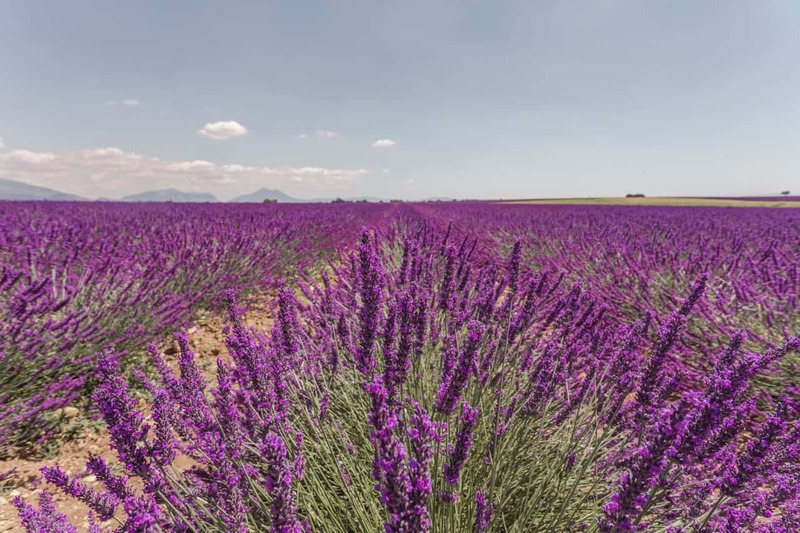 Check out our detailed guide on the Valensole lavender fields for more information on each flower field. The flowering show of Castelluccio in Central Italy reaches its peak during the month of June. 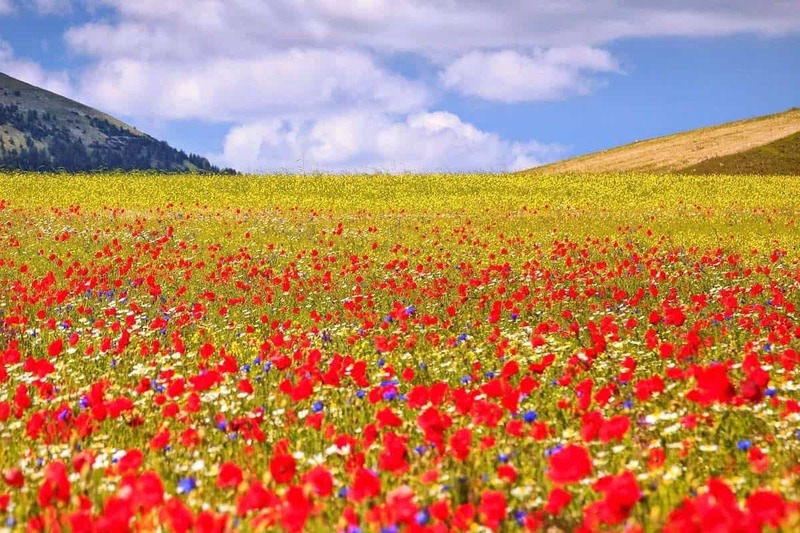 The flower fields cover the plateau of Castelluccio belonging to the Sibillini mountain range and to the Sibillini National Park. You can admire the flowering from the road to Castelluccio, walking through the flowers on specific tracks, and from the main square of the mountain town of Castelluccio. During peak weeks, a local government agency in defense of the area might issue entrance tickets to the fields for about €15/person. Due to the earthquake that happened in 2016, getting to the plateau by public transport is possible but does take a few transfers. If you decide to take the train, the nearest station is in the town of Spoleto; from there you can get on a public bus to the town of Norcia which is only 30 minutes from Castelluccio. During high season, there will be private shuttles from the town of Norcia to the flower fields. The bluebell is the spring flower of British woodlands. 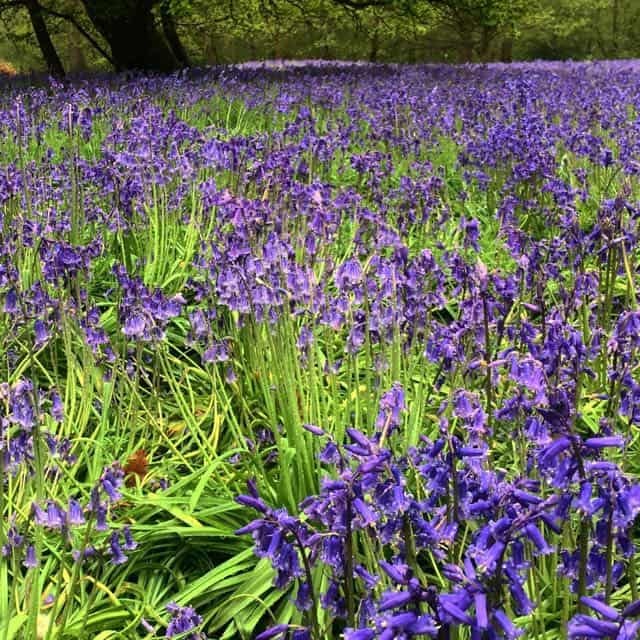 Although you’ll find bluebells, hedgerows and gardens throughout the country, you’ll mainly find them in ancient woodlands where the ground hasn’t been disturbed for centuries. And it’s here you’ll find the ground carpeted with this gorgeous wildflower. Peak season for bluebells is the spring, any time from March to mid-May, depending on the weather conditions for the year. While most bluebells are indeed blue, there are also rare albino bluebells to be found in some spots. As spring flows into full force in London, the climbers and flower beds burst into colourful bloom. One of the most iconic flowers you will see dotted around the city, usually adorning some of the classic terraced houses, is wisteria. Around March through to May, as the city begins to warm up, the sun glistens on these beautiful plants appearing on building frontages and tucked in historical alleyways. Some of the most prominent examples of Wisteria are found among the affluent Georgian terraces of the West End: Mayfair, Chelsea and Knightsbridge. There’s no prettier sight in Northern Vietnam than a sea of delicate buckwheat blossoms. 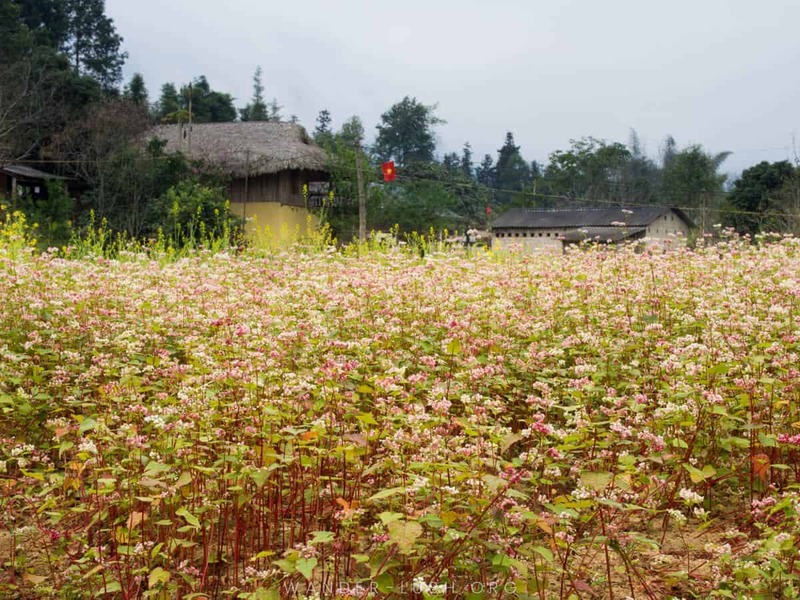 The white and pink flowers are synonymous with Ha Giang Province, where families raise buckwheat crops for flour. Buckwheat flowers (tam giac mach in Vietnamese or chez in the H’mong language) can be white, red, pink or purple depending on the varietal. As the crop matures, the flowers become darker until the buckwheat is ready to harvest. Buckwheat blooms at different times depending on the elevation. To see the fields in their full glory, it’s best to travel at the end of autumn (between September and early December), when the annual buckwheat flower festival takes place in Ha Giang. For three months each year, in a remote Thailand province, a seemingly average freshwater lake transforms into a virtual sea of flowers. The Red Lotus Sea, or Talay Bua Daeng, is a bit of a misnomer since it is not an actual sea and its blooms are pink, not red! 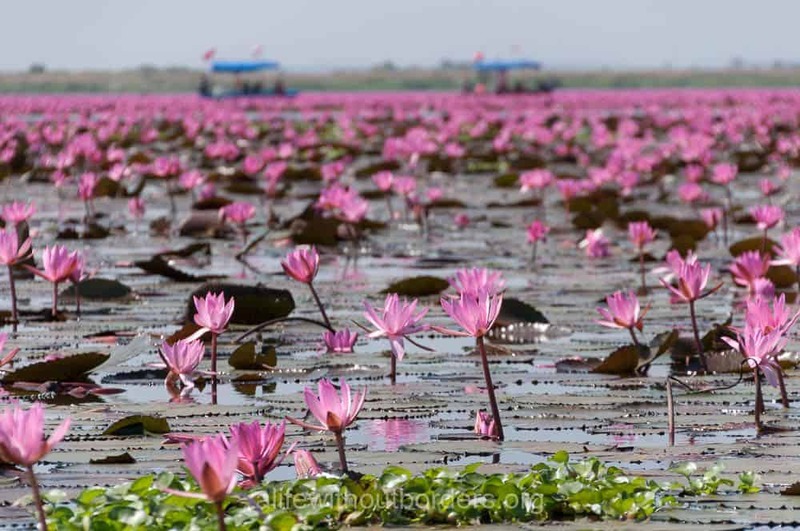 Visit during the months of December through February when thousands of pink lotus flowers cover the surface of the water. Be sure to arrive early as the blooms begin to close as the day heats up. 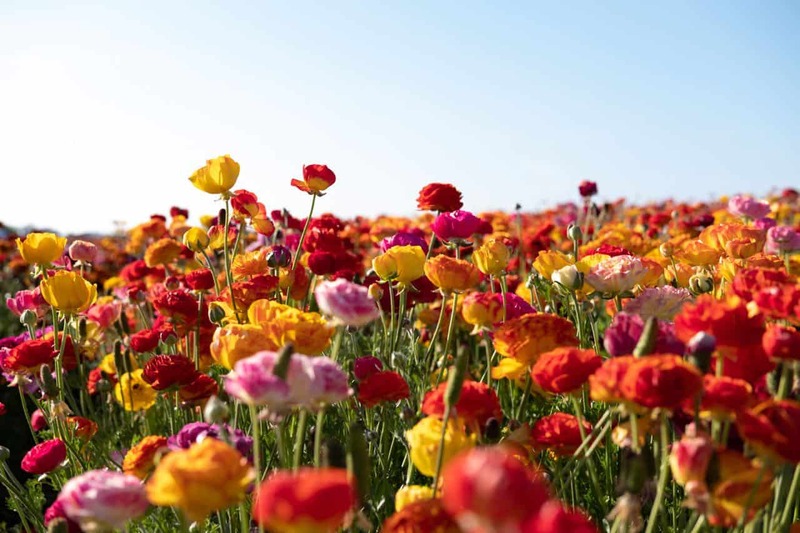 One of the most beautiful flower fields in the world is easily found in southeastern Kazakhstan, a mere day trip from Almaty. 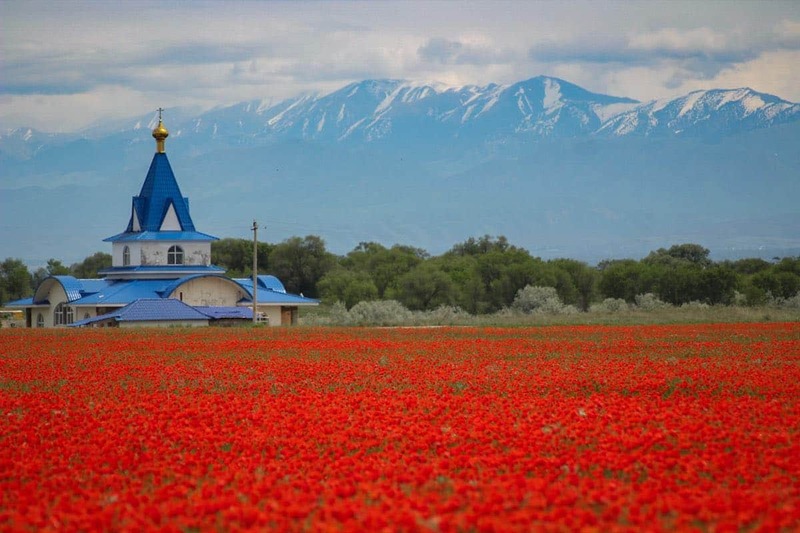 Surrounding Almaty are countless poppy fields that are so bright and vivid and sitting right at the foot of the Tian Shan mountain range. What makes these poppy fields so remarkable is that they are completely wild and appear every April and May. You can drive out of the city of Almaty on the highway and you will inevitably see them on both sides of the road. You can stop and wander into the field and shoot as many photos as you’d like. 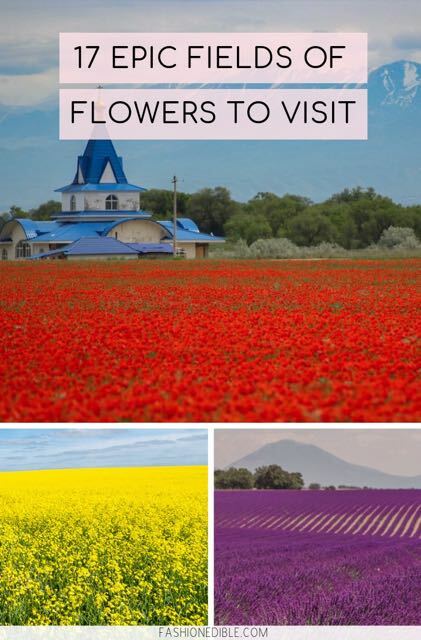 The flower fields have become popular in recent years due to Instagram but because Kazakhstan is so vast, you will feel like you have the place to yourself. The Zhongshe Flower market is one of the most colourful places in Taiwan and should be high on any Taiwan itinerary. 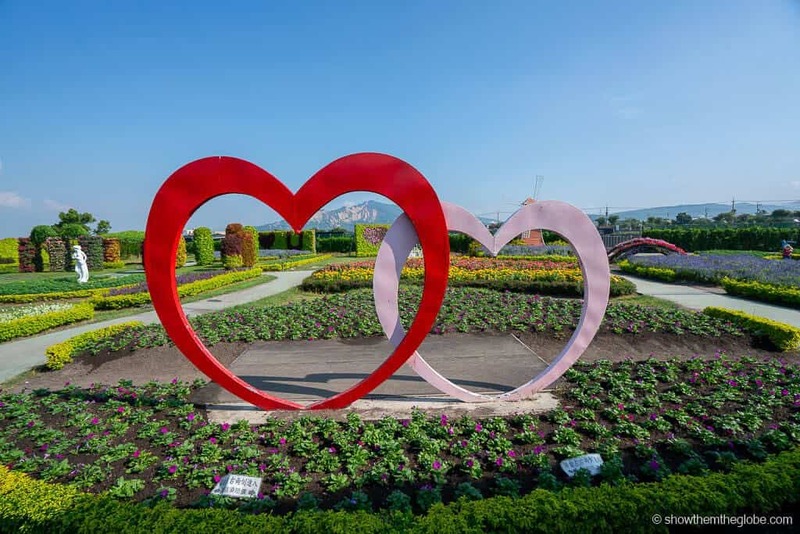 Located a short drive from the city of Taichung, the Zhongshe Flower market is known for its beautiful gardens and colourful flower arrangements. The gardens are a mecca for Instagram photos and draw hundreds of tourists every day. 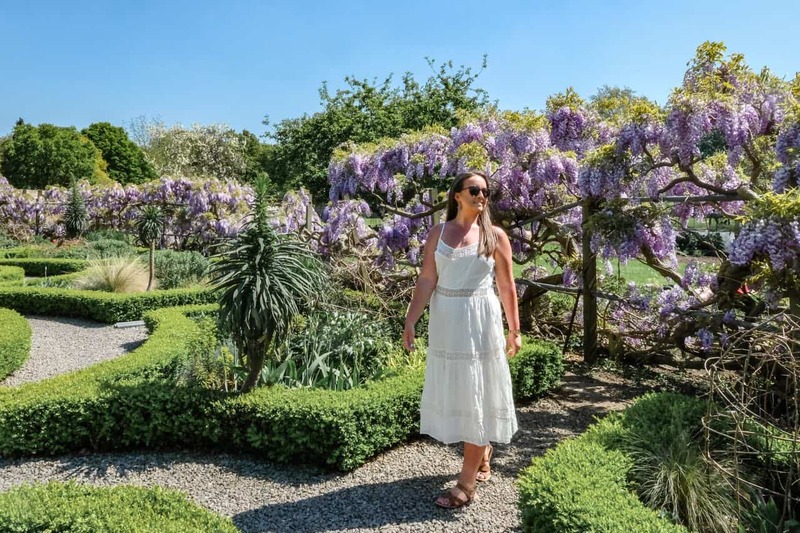 The gardens are truly beautiful, from the lavender fields with its lone piano to the floral photo frames under the stunning backdrop of the mountains. We had a lot of fun spotting photo opportunities and enjoying the gardens. Surprisingly Japan is home to some of the most beautiful flower fields in the world. 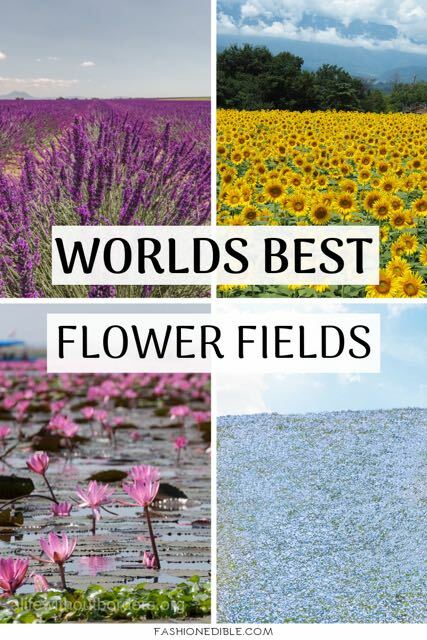 Some of the top fields include Shibazakura, Tomita and Shikisai Hill but there are also quite a few other amazing fields to consider. Hitachi Seaside Park probably offers the best flower fields in Japan and it is only an hour train ride northeast of Tokyo. 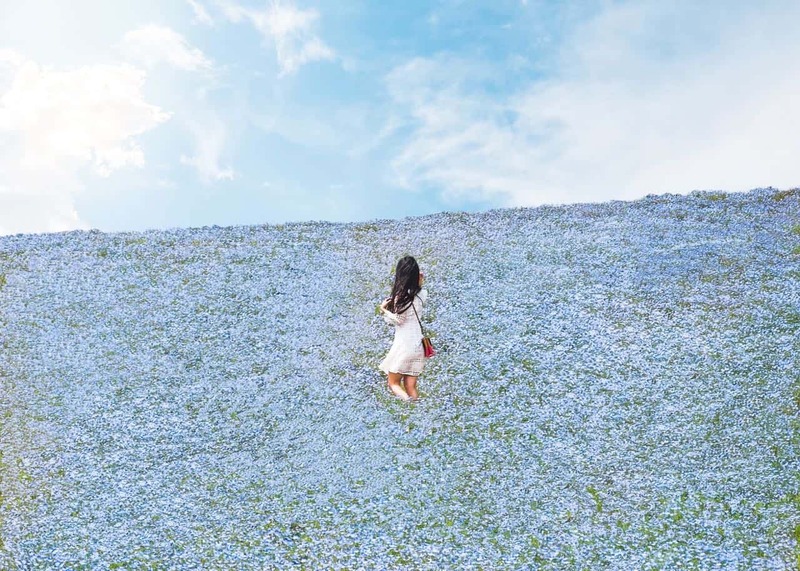 Although there are many different kinds of flowers and grass throughout the four seasons, the most popular ones are nemophila and kochia. Nemophila covers the whole field in a blanket of blue colors, while kochia has vibrant, red colors. If you want to see the field of nemophila (baby blue eyes), you should visit between the middle of April and the beginning of May. The entrance fee at Hitachi Seaside Park is 450 yen for adults, 210 yen for seniors, and free for children 15 years old and younger. 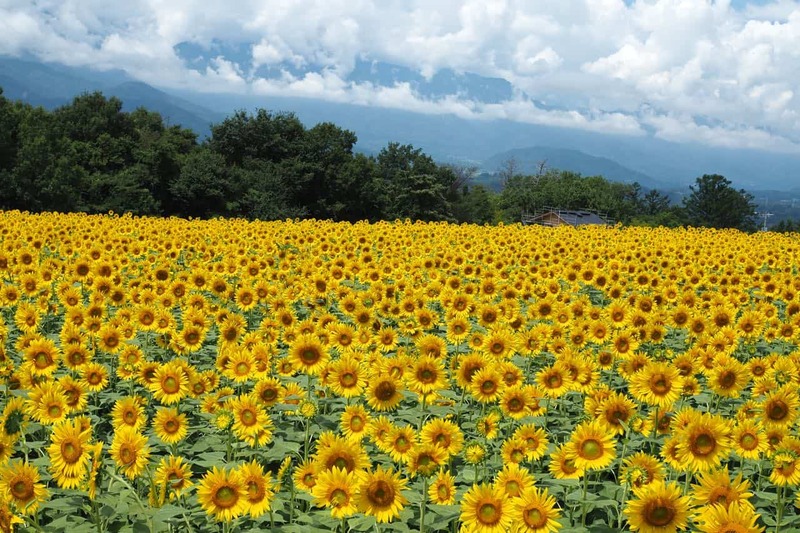 What better way to celebrate summer in Japan than to be surrounded by vibrant sunflowers? A drive to check out these sunflowers is almost necessary. It’s the perfect pit stop between Nagano and Mount Fuji. Or if you’re travelling from Tokyo to Mount Fuji, it’s a short detour away. Dutch tulip fields are among the most famous flowers in the world. They are mostly located in the western part of the country. You can already see many of them while landing to the Schiphol airport so be sure to reserve a window seat for your flight! 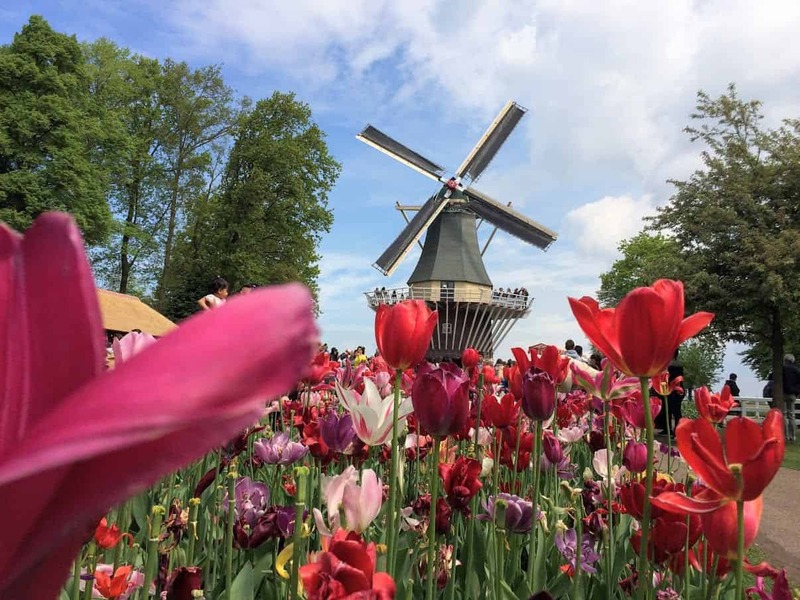 Keukenhof Garden is the most popular place to see tulips in the Netherlands. This garden is located in Lisse and is open for two months each year (March – May). There is an admission fee to enter and the best way to avoid long queues is to buy your ticket in advance online. 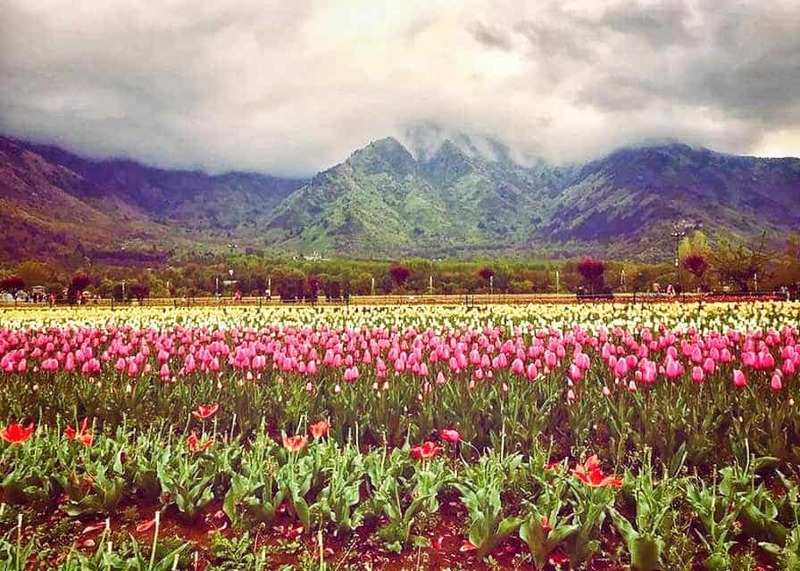 Located at the foot of Zabarwan Range and with the beautiful Dal Lake for company, Kashmir’s tulip garden is the largest bulb field in Asia. The official name of the garden is Indira Gandhi Memorial Tulip Garden. 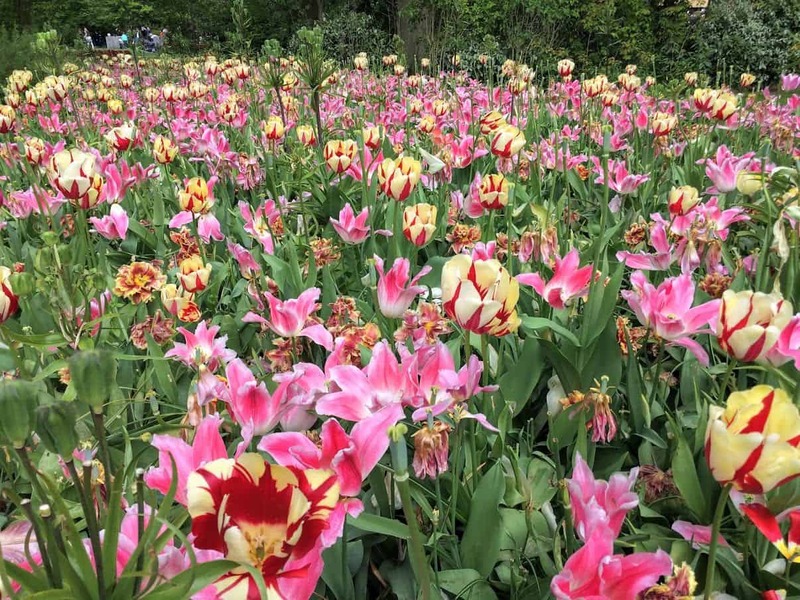 The garden is in full bloom from April during which a tulip festival is held to celebrate the onset of spring! The blooms last for a month or so depending on the season. Can’t make it to the Netherlands? 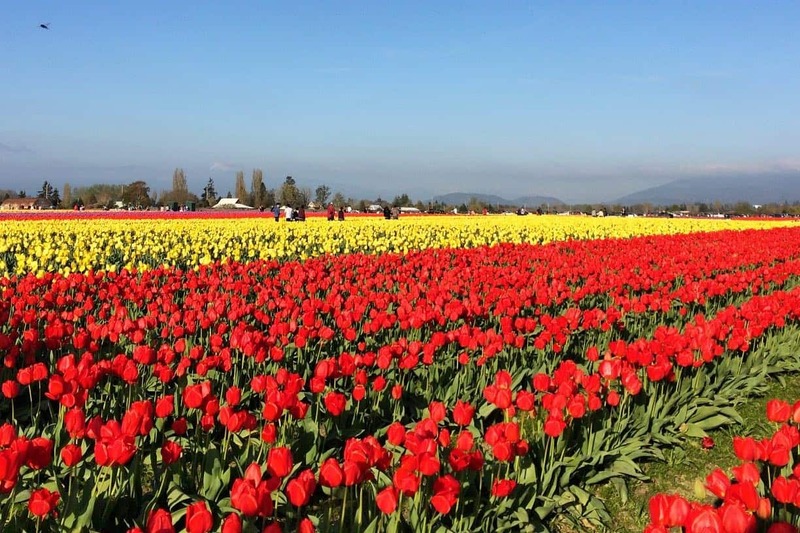 Head to the Skagit Valley Tulip Festival in Washington state to check out some of the most beautiful flowers in the Pacific Northwest! These gorgeous tulips are in bloom about every April. The exact blooming dates vary so stay up to date with the official Facebook page. Parking at some of the lots is $7 and getting into one of the big tulip fields is another $7. Alternatively, you can choose to visit other fields or drive through them for free! Springtime brings to life one of the most beautiful areas of San Diego. 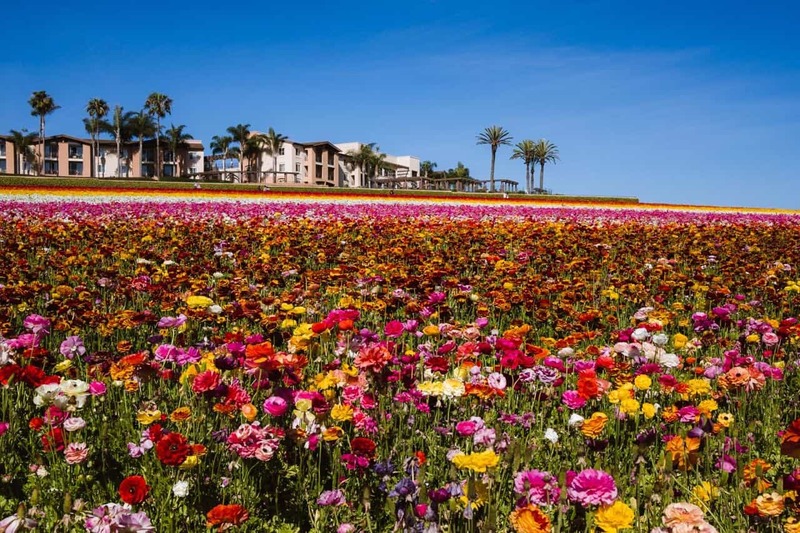 The Carlsbad Flower Fields are nearly fifty acres of flowers organized by color palette. The flowers are usually visible between early March-May with the peak viewing times between mid-March to mid-April. These times can change based on weather conditions so it’s best to check the website before planning a trip. While the fields are very dreamy and tempting to run through, it’s important to note that they’re roped off and monitored. This is to preserve the bulbs which get damaged when people step on them. But don’t let that dissuade you, the fields are impressive and you can still get beautiful Instagram-worthy shots from the path. The Canola fields in Southern Sweden is a natural wonder that shouldn’t be missed. The yellow fields transform all of the region of Skåne and it mixes beautifully with the farmlands. 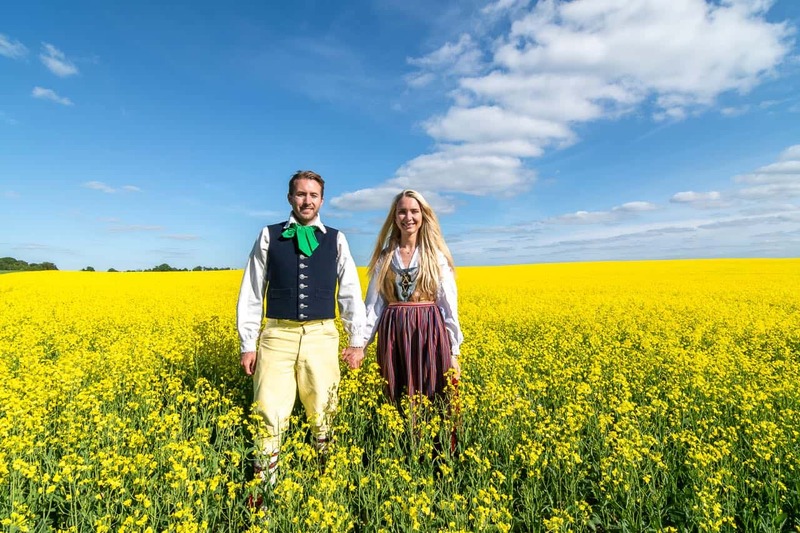 The best time to see the canola fields is from May to June and you’ll find them in many places in Southern Sweden. The best way to enjoy them is to drive around the region by car, but you can also travel by train. It’s very convenient and you can buy a ticket that gives you unlimited rides for a day or several days. Shinjuku Gyo-en is widely considered to be the best place in Tokyo to see the cherry blossoms, with about 1,500 cherry trees. 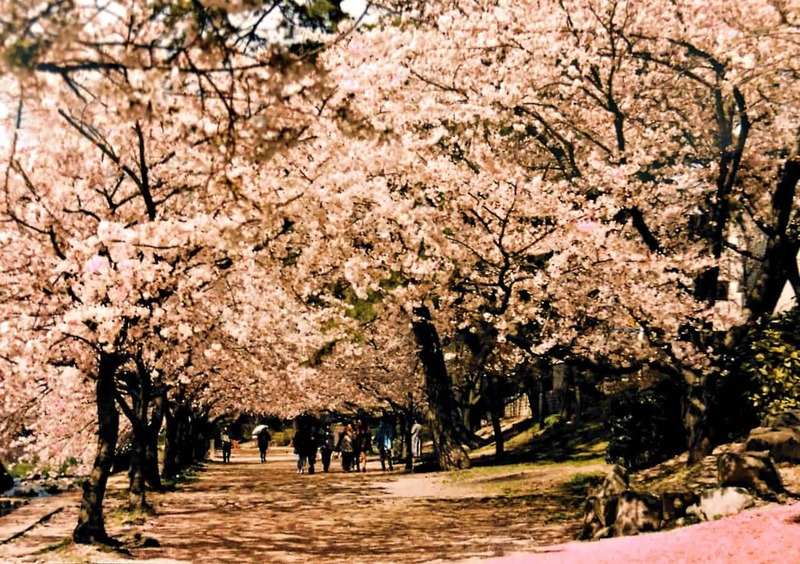 Like most famous cherry-blossom places, it is extremely popular and can get quite crowded. There are several different varieties here so you can usually see blossoms between late March and late April. There are three entrances to the gardens: the Shinjuku Gate, Okido Gate and Sendagaya Gate. It costs 500 yen to enter the gardens. A less famous local favorite for cherry blossom viewing in Osaka is Shukugawa Park, about 15 minutes by train from central Osaka. There are about 1,700 cherry trees lining the river and less crowds. This spot has a very festive feeling as there are stalls set up selling food, drink and games to play. The flowers are usually at their best in early April. There is no entrance fee here as well. Take the JR Kobe line from Osaka Station to Sakura Shukugawa Station. 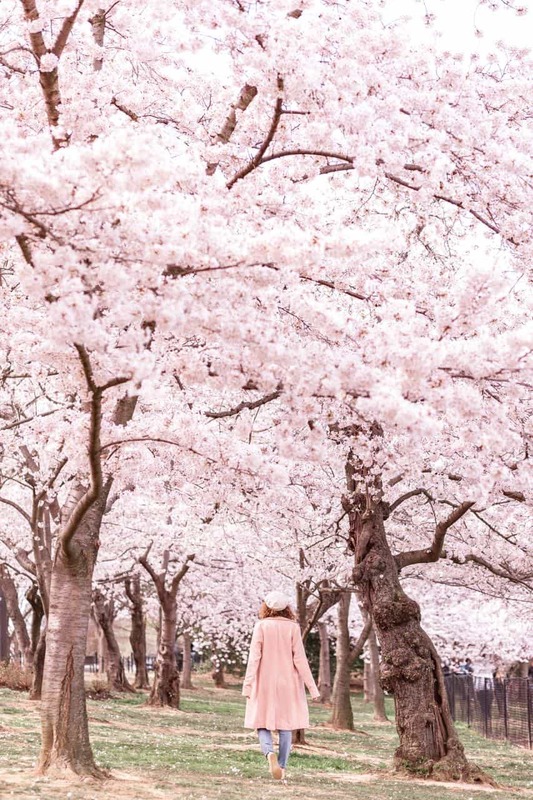 The cherry blossoms in Washington DC are some of our favorite flowers to enjoy come spring. The best way to figure out when peak blooms will occur is to check the DC blossom guide vigilantly. They do a great job of up-to-date alerts on the current status of the blossoms. As with many things in DC, viewing the cherry blossoms is entirely free. You’ll want to head to the Tidal Basin area as that is where the most picturesque ones are located (and with beautiful views towards the monuments as well). There are several parking options near the Tidal Basin, though most of them run on 3-hour metered parking. OMG! This has to be one of the most beautiful posts I’ve seen! I especially love the cherry blossoms in DC! So much beauty out there! This is amazing and very detailed! I would love to visit the Cherry Blossoms in Washington DC. I just visited them and they’re so lovely! Great compilation and a must read blog for every flower bloom lovers. I have witnessed the Tulip bloom in Kashmir, it absolutely mesmerizing. I can’t imagine – must be so beautiful! Wow, they are stunning! I loved the lotus ones, and the lavender fields of France! I had no idea so many beautiful flower girls existed! I found the lotus ones very unique!